It's a favorite for motorcycle and sports car drivers with its many twists and turns. Take your time and stop along the way to enjoy. 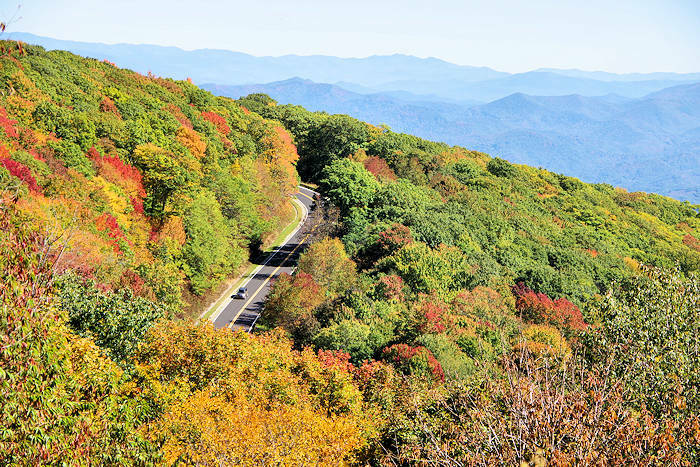 Temperatures can drop as much as 20 degrees during the first 11 miles of your drive, starting on the North Carolina side, since the Skyway climbs from 2,660 ft. elevation to 5,390 ft.! The Skyway follows NC Highway 143 (easier to find on maps) and TN 165 to Tellico Plains, TN. There are several hiking trails along the way. Our favorite is Huckleberry Knob, the highest point in the Cheoah Ranger District of the Nantahala National Forest at 5,560 ft. elevation. 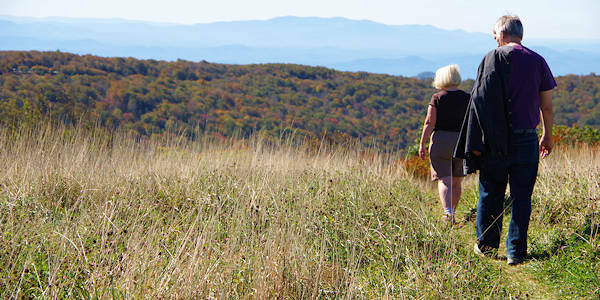 See our Huckleberry Knob Hike Guide. A one-mile round-trip to Hooper Bald is near Mile 8. The Cherohala Skyway opened in 1996, after 34 years of construction! It is North Carolina's most expensive highway at a cost of $100,000,000 (about $3 million a mile!). It winds up the ridge for about 18 miles in North Carolina and descends another 24 miles into the backcountry of Tennessee. 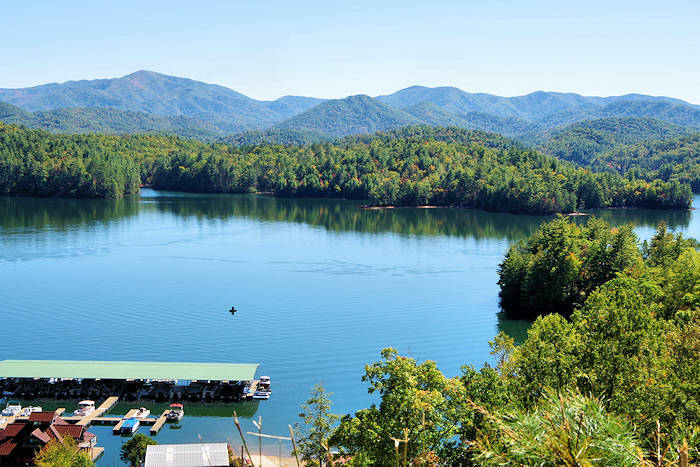 The road crosses through the Cherokee and Nantahala National Forests - thus the name "Chero-hala." Bring a picnic! You'll find many tables with mile-high views along the way. The Skyway begins near the Joyce Kilmer Memorial Forest in North Carolina. It can be desolate at night and extremely dangerous in the winter months. There are no facilities other than a couple of restrooms for the entire 36 miles, so make sure you have enough gas before you begin. 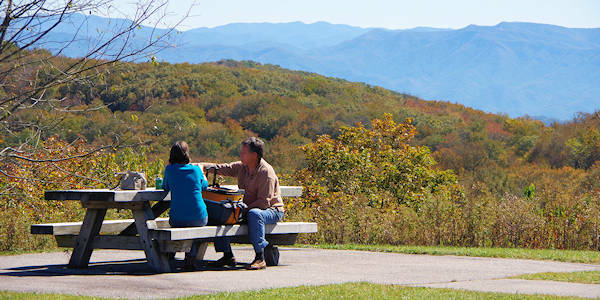 You can turn around at one of the overlooks or continue down the ridge in Tennessee. At the state line, the descent starts into the Tellico River basin. 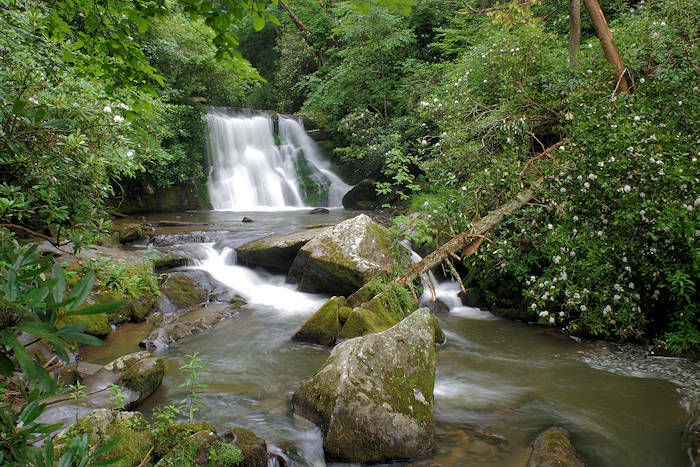 If you continue into Tennessee, take a detour to Bald River Falls on paved Forest Service Road 210 to see the 100-ft. waterfall from your car (or motorcycle). Also, check out the Indian Lakes Scenic Byway. 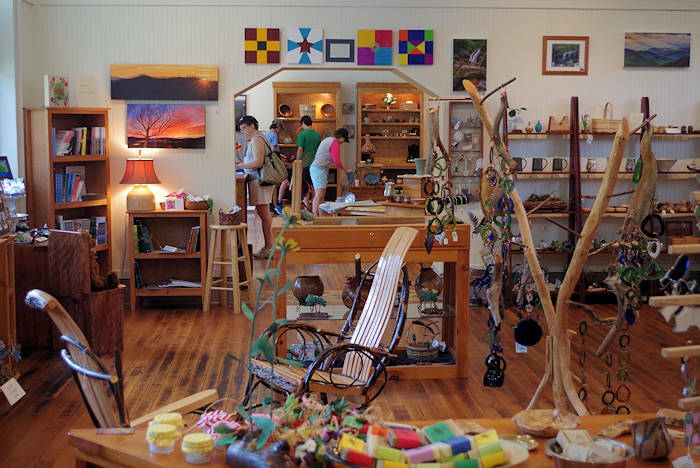 It's about a 100-mile drive from Asheville, but most of it is a four-lane expressway. Take I-40 West to exit 27. 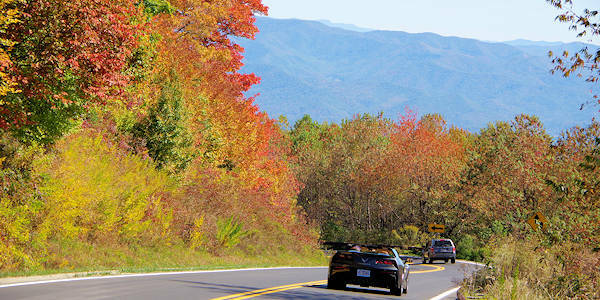 Then follow US 74 past Bryson City (near the whitewater rafting area along the Nantahala River). Turn right onto NC 28 North, then turn left onto NC 143 near Stecoah. In Robbinsville, follow signs for NC 143 W / Cherohala Skyway. 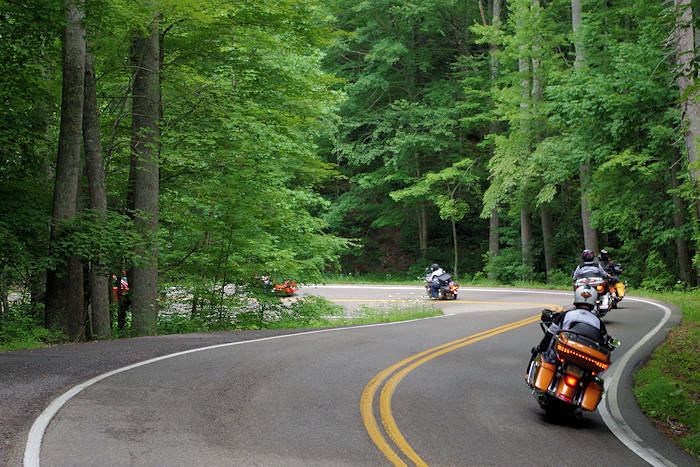 Nearby is "The Dragon" with 318 curves in 11 miles (US Highway 129). 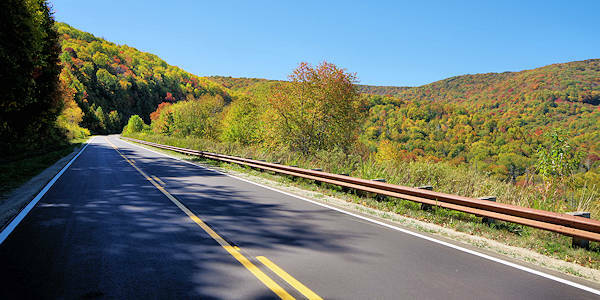 It's called America's number one motorcycle and sports car road as it snakes across Deals Gap at the Tennessee/North Carolina state line. Read more.